This year, Motorpsycho, one of Norway’s most successful bands, celebrate their twenty-fifth anniversary with the release of Behind The Sun, which will be released on 10th March 2014, on Rune Grammon. Motorpsycho were formed in Trondheim, central Norway in 1989. Since then, Motorpsycho have become a musical institution. They’ve released over twenty-albums. Their debut album was 1991s Lobotomizer. Demon Box followed in 1993, and Timothy’s Monster in 1994. Since then, Motorpsycho have averaged nearly an album a year. That’s no mean feat. Especially considering Motorpsycho have established a reputation as group who constantly reinvent themselves and their music. That’s been the case throughout Motorpsyhco’s career. However, Motorpsycho’s two previous albums reinforce this. 2012s The Death Defying Unicorn was an ambitious and groundbreaking collaboration with Ståle Storløkken. It was nearly three years in the making. To celebrate its release, Motorpsycho took the stage at Oslo’s opera house late in 2012, accompanied by a twenty-four piece orchestra. This was a celebration of one of Motorpsycho’s most ambitious, successful and critically acclaimed albums. The only problem was, having climbed a musical mountain, where do you go now? For Motorpsycho, the answer to that was a journey through the past. The followup to The Death Defying Unicorn was Still Life With Eggplant, which was released in 2013. It contained music that Bent Sæther refers to as “other music.” This was twenty songs that Motorpsycho had written during the last three years. These songs didn’t suit The Death Defying Unicorn. However, they were too good to ignore. So, Motorpsycho decided to record some of these songs. They headed to where it all began for Motorpsycho. In October 2012, Motorpsycho headed Brygga Studio in Trondheim to record what became Still Life With Eggplant. This was a return to where the Motorpsycho story began. This was where they’d released some of their early albums, including Demon Box and Timothy’s Monster. However, these albums were concept albums. Still Life With Eggplant wasn’t. Instead, Still Life With Eggplant featured five standalone tracks. The recording sessions took just two weeks. During the sessions, Motorpsycho were aided and abetted by guitarist Reine Fiske. An inspired, Motorpsycho recorded five tracks, including the seventeen minute epic, Ratcatcher. Motorpsycho were on a roll, the music just flowed and after two weeks, Still Life With Eggplant was completed. Having listened to the rest of the “other songs,” the three members of Motorpsycho Bent Sæther, Hans Magnus Ryan and Kenneth Kapstad decided that there was enough music for another album. They chose nine tracks and they became Behind The Sun, which again, was recorded Brygga Studio in Trondheim. At Brygga Studio in Trondheim, Motorpsycho began laying down the nine tracks that became Behind The Sun. Bent Sæther played bass, guitar, drums, keyboards and sang lead vocals. Hans Magnus Ryan played guitar, bass, mandolin, violin and keyboards. Kenneth Kapstad played drums and keyboards. They were joined by guitarist Reine Fiske, Ole Henrik Moe on viola and violinist Kari Ronnekleiv. Producing Behind The Sun, which I’ll tell you about, was Bent Sæther. Cloudwalker (A Darker Blue) opens Behind The Sun. It meanders into being. It’s as if Motorpsycho are just teasing you. They are. Soon, the track explodes. A thunderous, driving rhythm section, chiming, searing, sneering guitars and Bent’s vocal unite. The result is real rock music. It’s been inspired by the classic rock the of the sixties and seventies. Joining the pulsating bass, machine gun guitars and Bent’s powerhouse of a vocal are the viola and violin. They provide a contrast to the rest of the arrangement. There’s even a West Coast influence, thanks to the harmonies. Melodic, melancholy and explosive this track is all this and more, including a tantalising way to open Behind The Sun. Quivering, shivering strings open Ghost. It’s very different to the opening track. Just an acoustic guitar is strummed and plucked, before swathes of strings and drums enter. By now, there’s a Pink Floyd influence, especially Wish You Were Here. This increases when a tender, wistful vocal enters. There’s a sense of resignation in his vocal. Especially when Bent sings the line “you have no purpose.” It’s as if he can’t bare to say this, but has to. Meanwhile, a melancholy rock symphony is unfolding. It tugs at you heartstrings, oozing emotion. It also reminds you of Pink Floyd at their very best. On A Plate sees Motorpsycho to kick out the jams. They’re a transformed into the tightest of units, as they rediscover their heavy rock roots. Drums are pounded and punished, a bass buzzes and Magus delivers a masterclass in rock guitar. He plays with speed, precision and fluidity. His fingers flit up and down the fretboard. Bent’s vocal is delivered with power. No wonder. He’s competing with riffing guitars and a driving, stomping rhythm section as Motorpsycho pay homage to their heavy rock roots. Not only that, but they demonstrate just how talented and versatile they are. The Promise is another blistering rock track. From the get-go, Motorpsycho kick loose and never let up. With the rhythm section driving the arrangement along, scorching guitars accompany Bent’s urgent vocal. After that, thundering drums and searing, sneering guitars take charge. They return to the heavy rock of the previous track. Right though to the track’s dramatic crescendo, Motorpsycho, never miss a beat as they deliver a virtuoso rock masterclass. Quickly, Kvæstor (including Where Greyhounds Dare) reveals its secrets. Robotic synths, thunderous drum rolls and glistening guitars join forces. Futuristic, sci-fi sounds are gradually overpowered by blistering, scorching guitars. They’re played at breakneck speed. Despite that, they’re played with accuracy and precision. They unleash an impressive sound. Technically, it’s perfection, and a reminder of bands like Led Zeppelin. Not to be outdone, drummer Kenneth Kapstad unleashes a solo. What follows is the equivalent of a musical duel. The guitars and drums go head to head. It’s an impressive sound and results in a seven minute epic. Hell, Part 4-6: Traitor/The Tapestry/Swiss Cheese Mountain is a trilogy, lasting twelve minutes. Wistful, almost haunting strings set the scene. They give way to a meandering acoustic guitar and bass. Bent’s vocal is pensive, melancholy and tender. Around him, the arrangement envelops him. Soon, it rocky guitars joining the mix. Later, there’s a return to wistful strings, before washes of ethereal synths enter. As they drop out, the arrangement meanders along. Its melancholy sound is then replaced by a what can only be described as an explosive rocky track. Motorpsycho’s guitars and rhythm section lock into a groove. Guitar riffs escape, climbing above the arrangement during this twelve minute eclectic Opus. Entropy has a folk rock sound, as a semi-acoustic Motorpsycho unleash a dreamy, lysergic masterpiece. Bent’s dreamy vocal is accompanied by harmonies as a languid, laid back track unfolds. It reminds me of The Byrds and Pink Floyd. That’s how good this mellow folk rock track is. Indeed, it’s so good it’s the highlight of Behind The Sun. On The Magic and The Wonder (A Love Theme), guitars chime as the rhythm section match each other every step of the way. They provide the heartbeat on this melodic rock track. Bent’s vocal is accompanied by soaring harmonies. When it drops out, screeching, searing guitars are unleashed. What follows are some stunning guitar licks. They’re played with speed, precision and accuracy. Blistering and scorching describes them. Along with vocals, they added to the urgency of this melodic track. Add to this some poppy hooks, and the result is a truly memorable track that showcases Motorpsycho at their best. Behind The Sun closes on a rocky high. Hell, Part 7: Victim Of Rock is reminiscent of the type of track that would win over even the toughest Donnington Park crowd. Motorpsycho dig deep, unleashing some spiky, rocky licks. They’re dark, urgent and cascade across the arrangement at breakneck speed. Then the vocals enter, with Motorpsycho delivering some singalong vocals. Next up, are the blistering guitars, with twisted synths and pounding drums joining the fun. Drawing inspiration from Black Sabbath, Def Leopard and The Beatles’ Helter Skelter, Motorpsycho loose and show why they’ve enjoyed such a long, successful and critically acclaimed career. Although Motorpsycho have been together since the late eighties, and have released over twenty albums, they’ve still plenty to offer. They’re still determined to reinvent themselves and their music. That’s refreshing. After all, some band, having found a successful formula, stick to it. Not Motorpsycho. They released a series of concept albums, then the critically acclaimed The Death Defying Unicorn. Next Motorpsycho decided to revisit twenty “other songs” that weren’t suitable for The Death Defying Unicorn. Motorpsycho hit pay-dirt. These twenty “other songs” proved to be a musical treasure trove. Not only was there enough for their previous album Still Life With Eggplant, but Behind The Sun which will be released on 10th March 2014, on Rune Grammon. Behind The Sun is a fitting followup to Still Life With Eggplant. It’s an innovative and glorious fusion of classic rock, folk rock, psychedelia and psych rock. It also oozes quality. Mind you, that’s what you expect from Motorpsycho. Ever since their debut album 1991s Lobotomizer, then 1993s Demon Box 1994s Timothy’s Monster, Motorpsycho have been establishing a reputation as one of Norway’s most successful bands. Now Motorpsycho are Norwegian rock royalty. They’re a musical institution not just in Norway, but across Europe. Over the last twenty years, word has spread about Motorpsycho. However, there are still people who haven’t heard Motorpsycho. That’s where Behind The Sun comes in. For anyone yet to discover Motorpsycho, Behind The Sun is the perfect place to start. 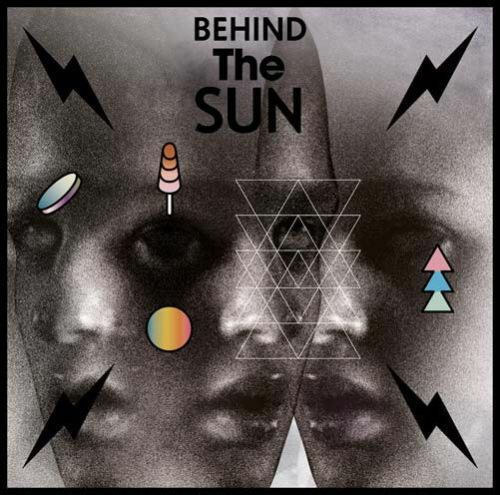 Behind The Sun is a reminder that there are still groups capable of making rock music. This isn’t just any rock music. No. Motorpsycho make what I’d describe as classic rock music. So much so, that Behind The Sun is an album that could’ve been recorded anytime over the last forty years. It draws inspiration from everyone from The Byrds, Led Zeppelin, Pink Floyd, Black Sabbath and Def Leopard. The result is the hard rocking Behind The Sun, where Motorpsycho keep the flag flying for classic rock in all its glories. Standout Tracks: Ghost, On A Plate, The Promise and The Magic and The Wonder (A Love Theme). ← GEORGE DUKE-A BRAZILIAN LOVE AFFAIR.